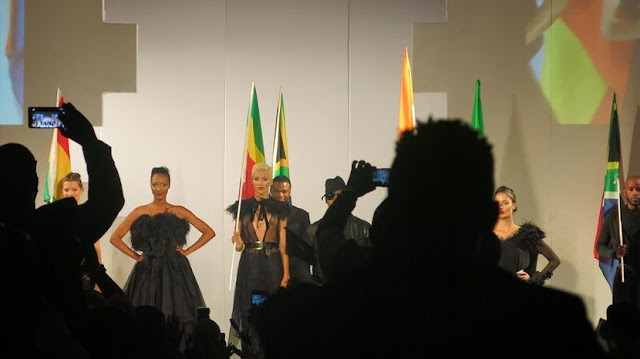 The 'We Are Africa' fashion show took place on Thursday night at the Museum of African Design at the culturally diverse Maboneng area in Johannesburg. South African couturier David Tlale stole the show. His cameo appearance was received with astounding applause and cameras flashing. His dramatic and gothic glamour collection featured a mystique all-black motif. The DT woman was hard yet soft, edgy but at the same time feminine.Fellow South African designer Abigail Betz, who nervously told us before the show started that she was approached to showcase just little over a week ago, also managed to dazzle. Abigail delivered a modern romanticism collection that featured bridal whites, ladylike silhouettes and ethereal floral embroidery. Opening the night was South African textile designer Sindiso Khumalo, playing around with African textiles, given a contemporary feel. Similarly, the last of the four local designers that showcased at the extravagant event was Maxhosa by Laduma, who equally impressed with geometric prints and winter knitwear, both for men and women. Another designer that had the crowd clutching for their imaginary fashion pearls was Mozambican fashion genius Taibo Bacar. Taibo impressed with a high-fashion collection that featured earthy neutral hues, edgy cuts and linear prints. 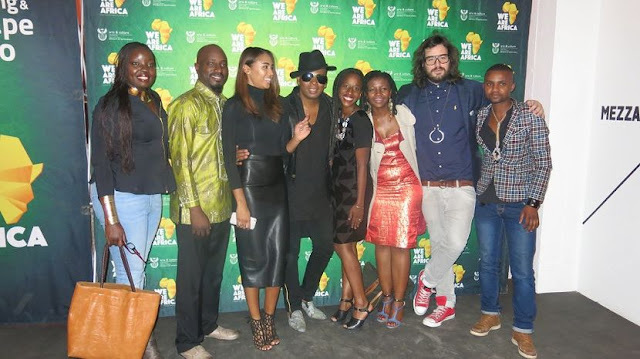 Other designers that showcase at the event that celebrated style, design and heritage of the African continent were Rwanda's Mille Collines, Senegal's Sophie Zinga, Ghana's Duaba Serwa, Kenya's Kiko Romeo, Niger's Alphadi, Democratic Republic of Congo's Tina Lobondi and Uganda's Arapapa by Santa Anzo.